One of the great World War II novels, this New York Times-bestselling "masterpiece" captures the experiences of three very different soldiers (The Boston Globe). Standing alongside Norman Mailer's The Naked and the Dead and James Jones's From Here to Eternity, The Young Lions is one of the most powerful American novels to tackle the Second World War. Ambitious in its scope and robust in its prose, Irwin Shaw's work is also deeply humanistic, presenting the reality of war as seen through the eyes of ordinary soldiers on both sides. The story follows the individual dramas -- and ultimately intertwined destinies -- of Christian Diestl, a Nazi sergeant; Noah Ackerman, a Jewish American infantryman; and Michael Whitacre, an idealistic urbanite from the New York theatrical world. Diestl first appears as a dashing ski instructor in Austria, mouthing his loyalty to Nazi ideals. As the war progresses, Diestl's character continues to erode as he descends into savagery. Ackerman must endure domestic anti-Semitism and beatings in boot camp before proving himself in the European theater. Eventually, as part of the liberating army, he comes face-to-face with the unimaginable horrors of the death camps. Whitacre, trading cocktail parties for Molotov cocktails, confronts the barbarism of war, and in fighting simply to survive, finds his own capacity for heroism. Shaw's sweeping narrative is at once vivid, exciting, and brutally realistic as well as poignant in its portrayal of the moral devastation and institutional insanity of war. 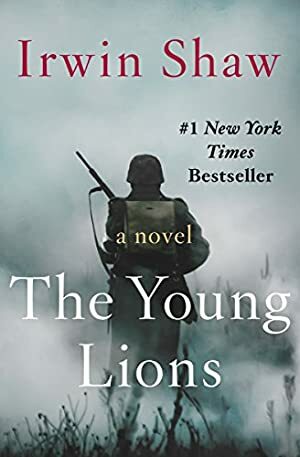 Penned by a master storyteller at the height of his craft, The Young Lions stands the test of time as a classic novel of war and the human experience. This ebook features an illustrated biography of Irwin Shaw including rare images and never-before-seen documents from the author's estate. Log In to track Irwin Shaw on eReaderIQ. to be notified each time the price drops on any book by Irwin Shaw. to stop tracking Irwin Shaw. We started tracking this book on February 9, 2013. The price of this book has changed 111 times in the past 2,267 days. The lowest price to date was $1.20 last reached on January 3, 2019. This book has been $17.99 one time since we started tracking it.